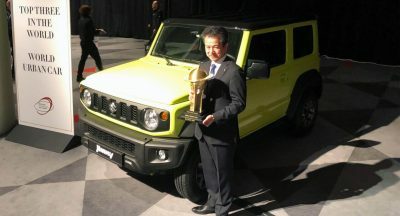 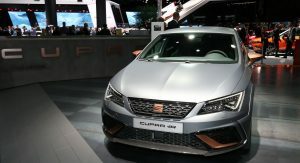 It uses a 2.0-liter TSI engine, making 300PS (296hp) and 310PS (306hp), when married to a six-speed dual-clutch automatic and six-speed manual gearbox, respectively, both of them channeling the output to the front wheels. 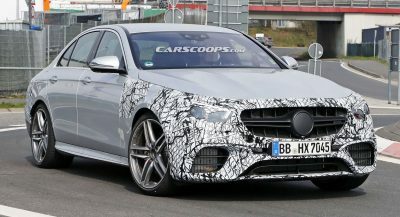 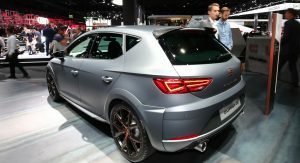 Production will be limited to just 799 units, out of which 300 will come with the DSG and the rest with the manual transmission. 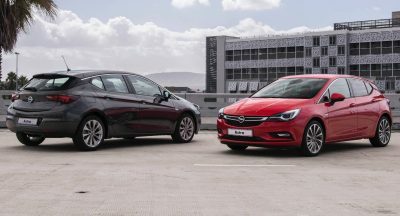 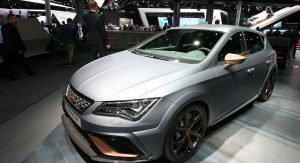 The Spanish hot hatch will hit the assembly lines in the second week of November, before going on sale at the end of the year. 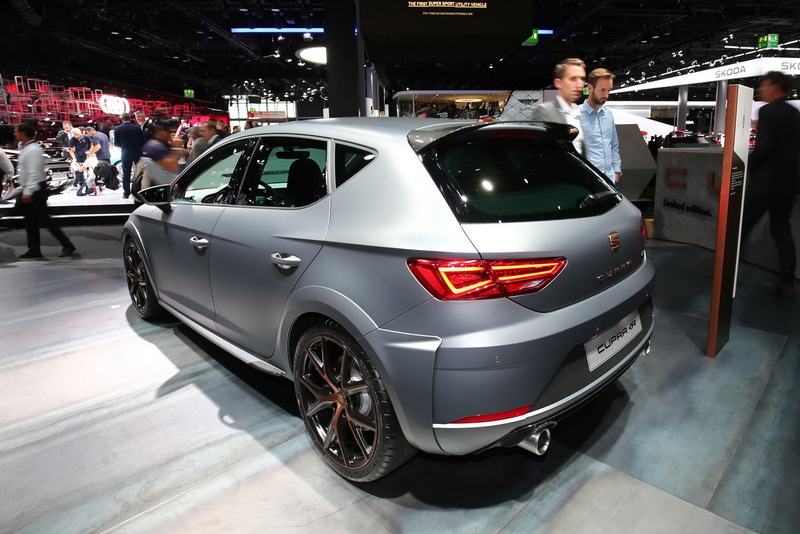 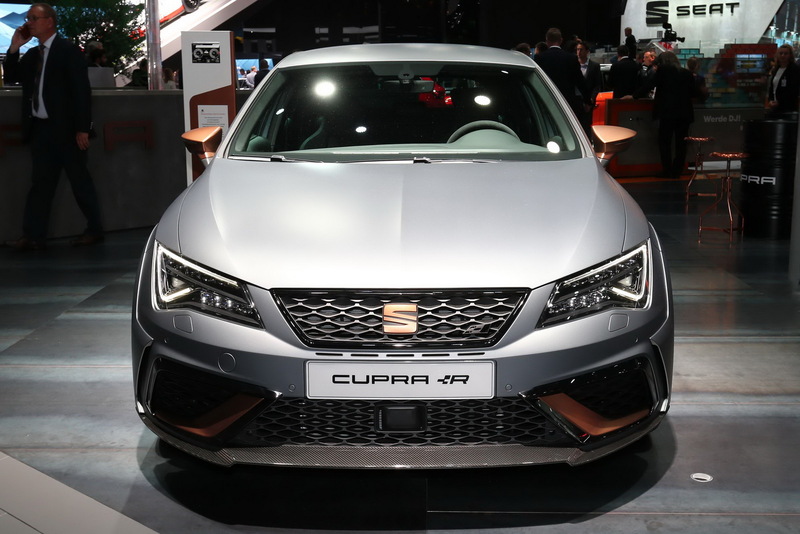 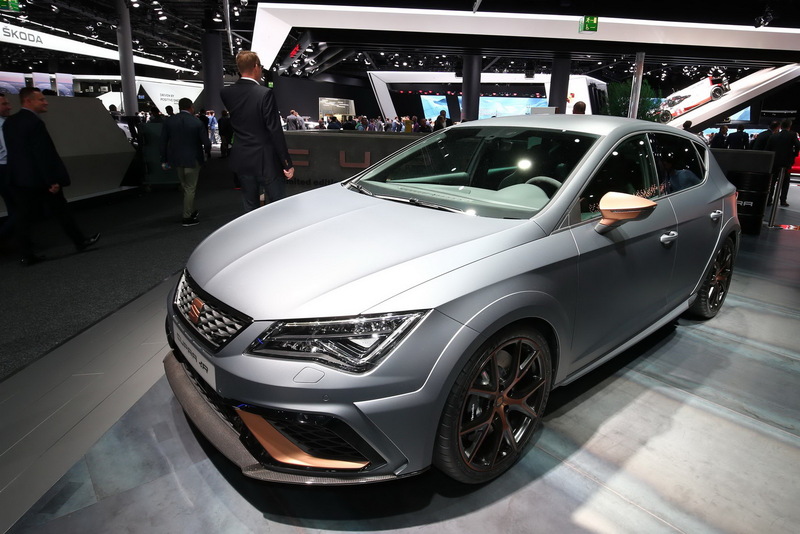 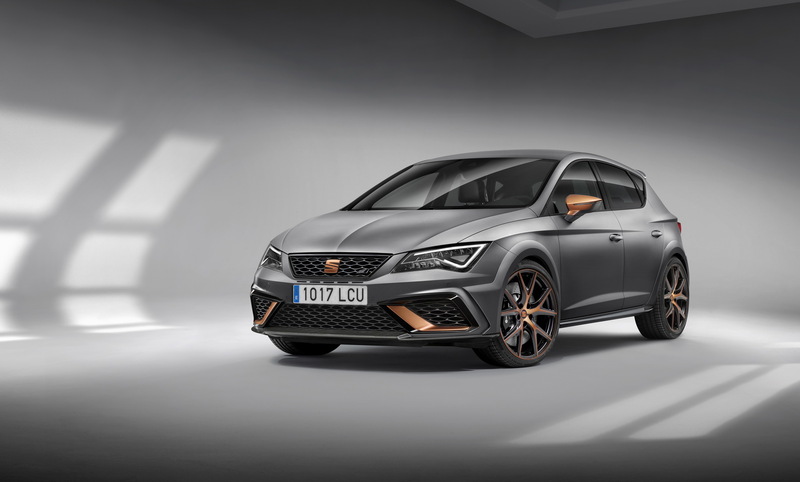 The new Seat Leon Cupra R is the brand’s most powerful production car ever, with the company saying it represents their “best qualities”, but they wanted it to be more exclusive, hence why it will be available in a limited number. 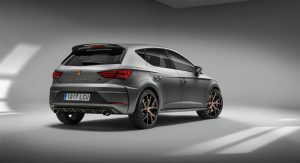 Those looking to buy the new Spanish hot hatch, will get to enjoy five driving modes: Comfort, Sport, Eco, Individual, and Cupra. 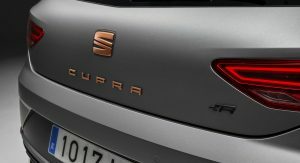 The latter is said to “increase the emotion during driving”. 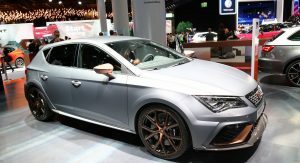 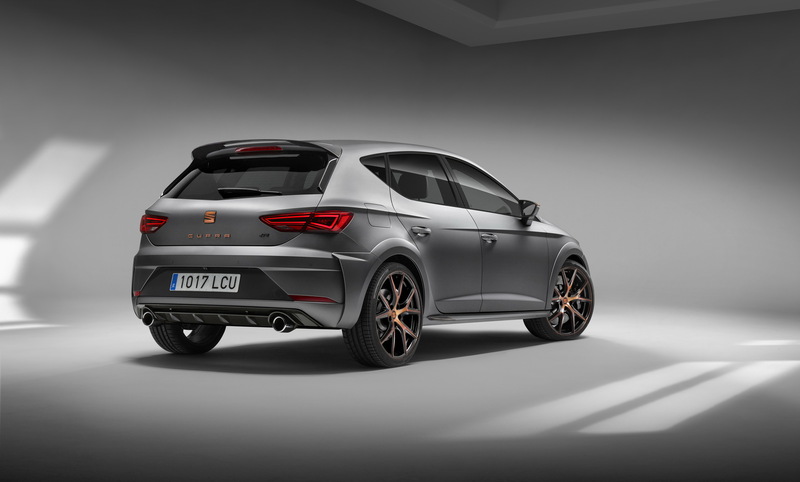 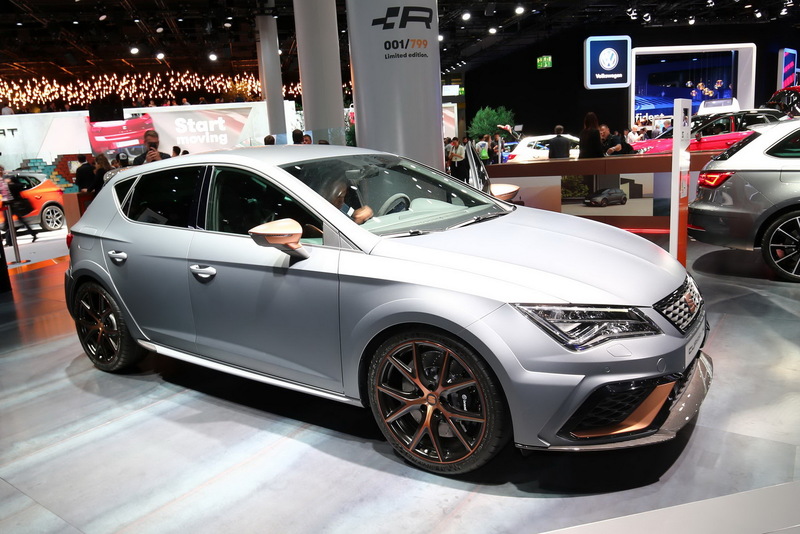 Visual revisions over the standard Leon Cupra include the wider wheel arches that frame the 19-inch alloy rims, carbon fiber add-ons on the front and front and rear spoilers, side decorative skirts, and a rear diffuser which incorporates dual exhaust pipes. 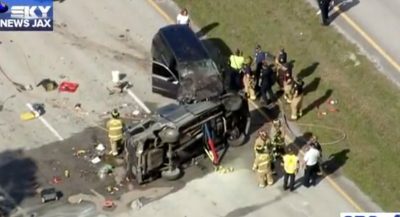 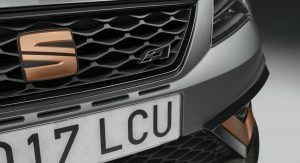 The bumpers have been tweaked as well, and the car has copper details on various places. 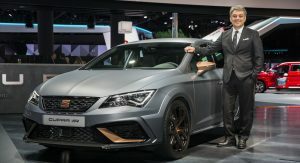 Images with the interior have yet to be released, but this is where users will find an exclusive serial number engraved on the console to remind them that they’re sitting in a limited edition, alongside bucket seats wrapped in Alcantara, carbon fiber inserts, new aesthetic details on the instruments and copper details. 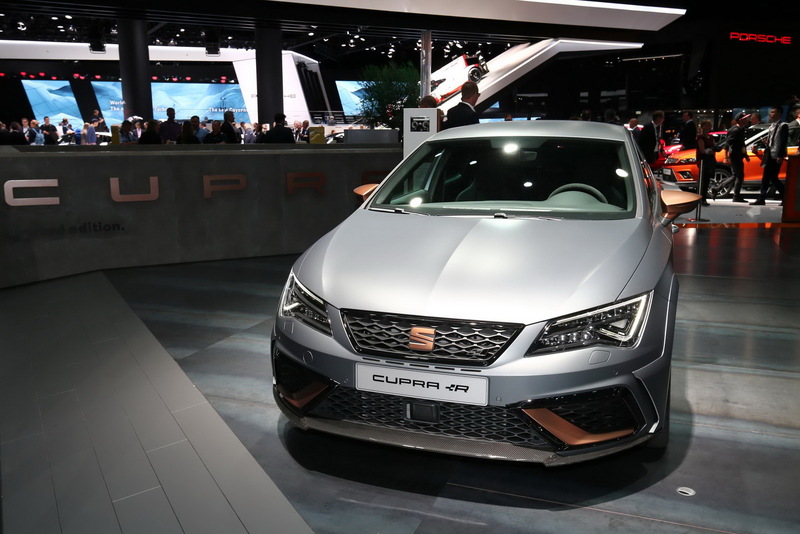 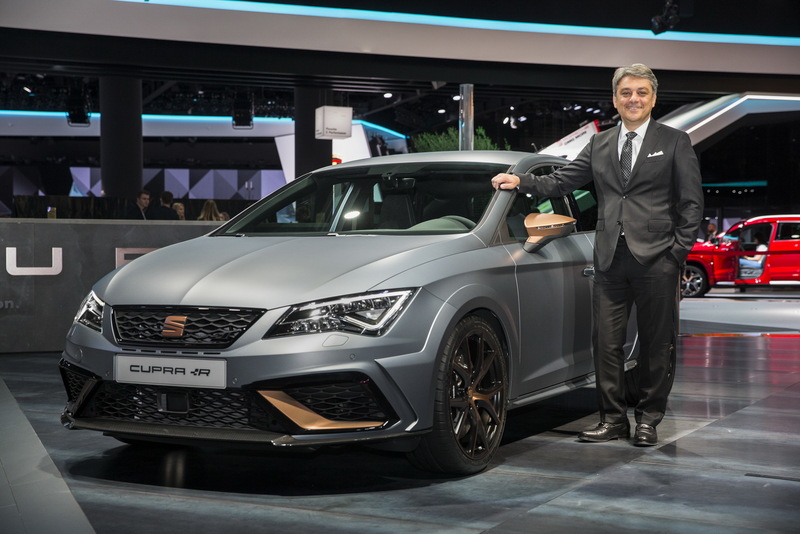 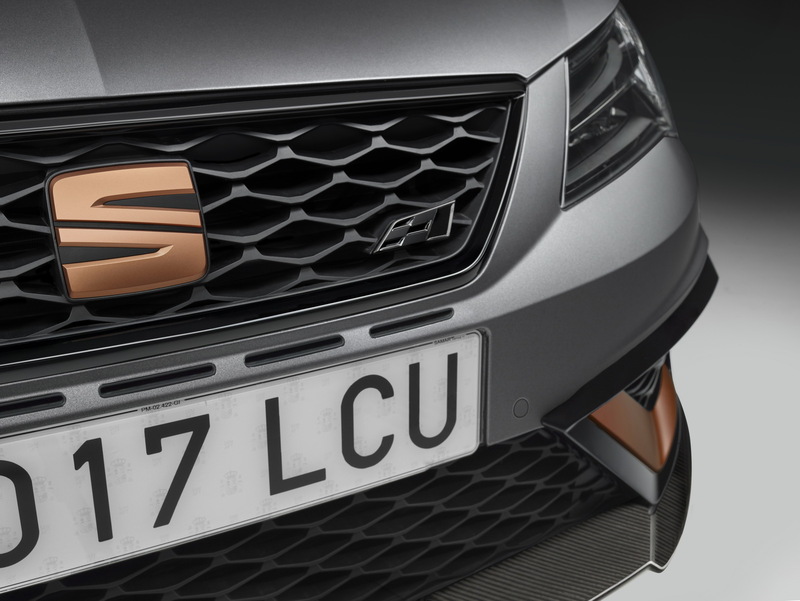 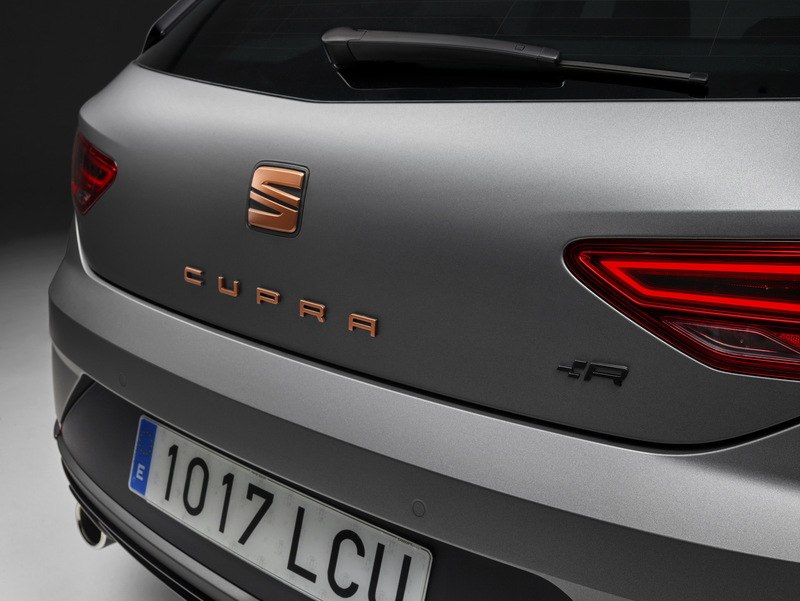 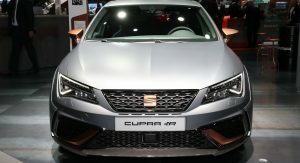 Seat still hasn’t announced the pricing details of the Leon Cupra R, but it will be more expensive than the latest Cupra, which can be had from €34,280 ($41,100) in Germany, and £30,155 ($39,750) in the United Kingdom. 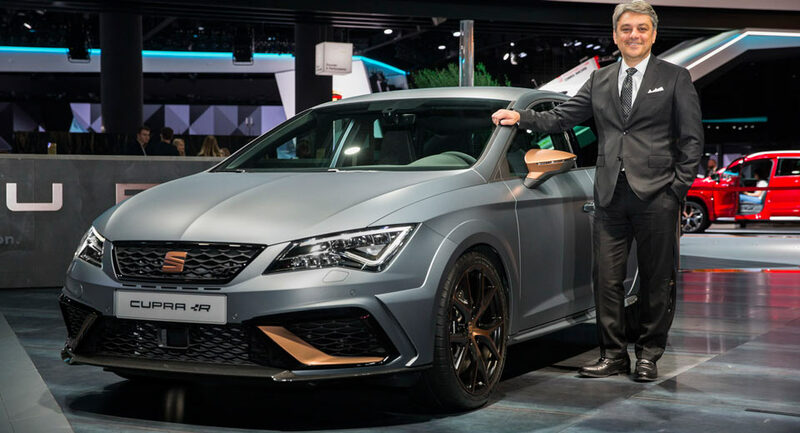 SCRAP THE “WIDE BODY” CRAP AND IT WILL BE VERY NICE. 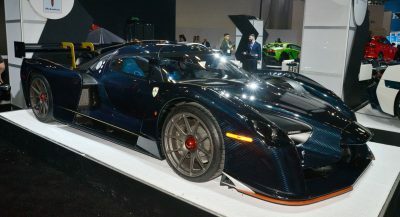 I think it looks nice with the widebody. 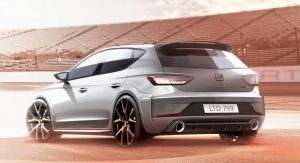 Much better executed than the Civic Type R’s widebody. 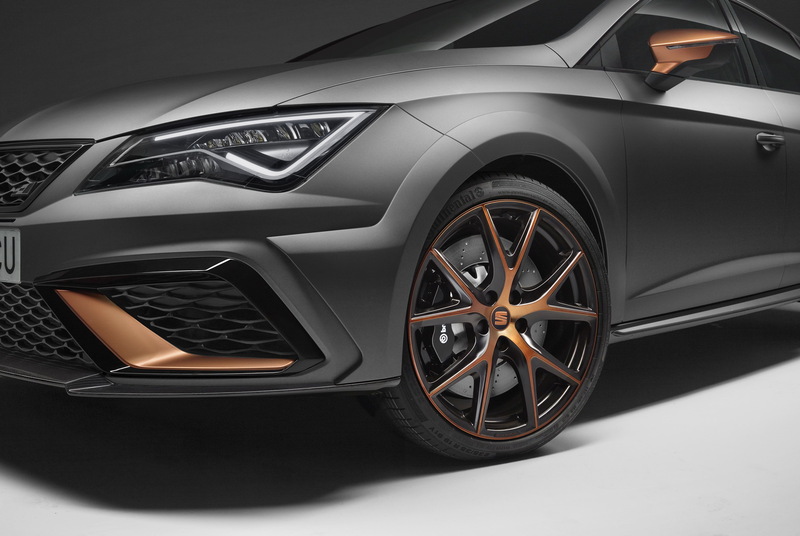 But if it was molded like Audi’s widebodies, it would probably look better. 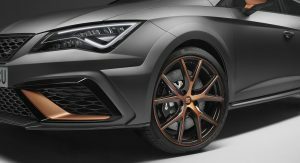 Yeah, if it doesn’t have a wider track or wider than 235-section tyres it won’t look good. 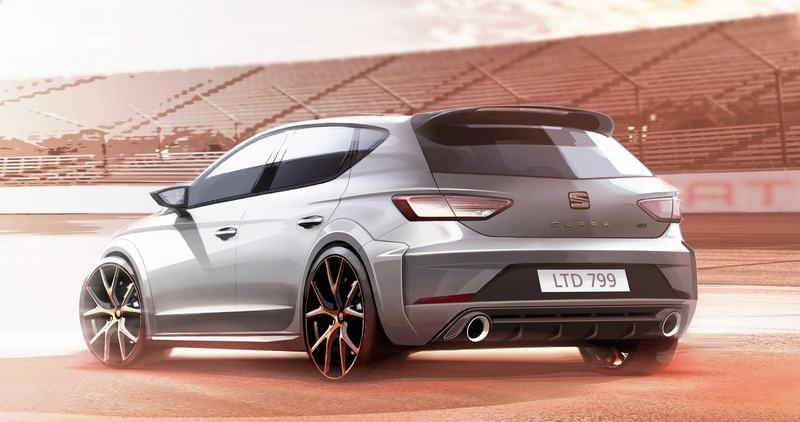 The Cupra looks nice with the 235 tyres on the normal body.